For all the horror film and literature I consume, people sometimes assume that I scare easy. Well, not so much. Horror has its visceral thrills, but for me, it’s more of an aesthetic experience. I enjoy the atmosphere more than the scares, and find humor in the most gruesome onscreen butchering. In general, I’m a tough nut to disturb. Which brings us to Marabou Stork Nightmares. Don’t consider this a recommendation. Consider this a challenge. 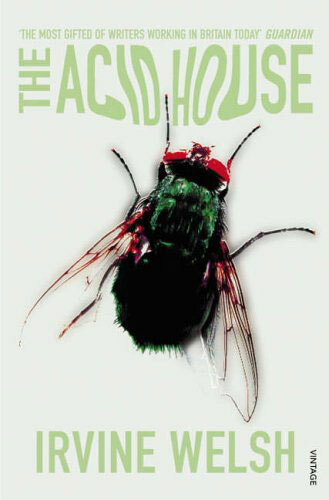 This novel has the distinction of being the only book that has kept me up at nights as an adult. The reader survives this book as much as they enjoy it. Be warned, this is a tense work of psychological brutality that forces you to confront human nature. It’s a case study of devolutionary psychopathology, of working class nihilism and the addictive lure of violence. And a stellar piece of literature you’ll never forget. 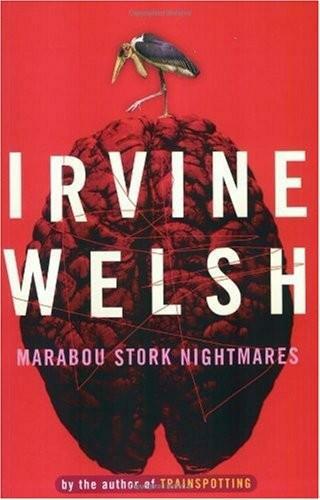 Of course, Irvine Welsh is best known for his debut novel, Trainspotting. Marabou Stork is his second full-length, first published in 1995. The story is narrated by Roy Strang, a comatose soccer hooligan with a troubled past. We experience the story from inside Strang’s head, which creates a narrative as compelling as it is disjointed. He oscillates through multiple levels of consciousness, which are represented visually with different fonts that run forward, back and sometimes up the page. This textual manipulation further immerses the reader in the nightmare. 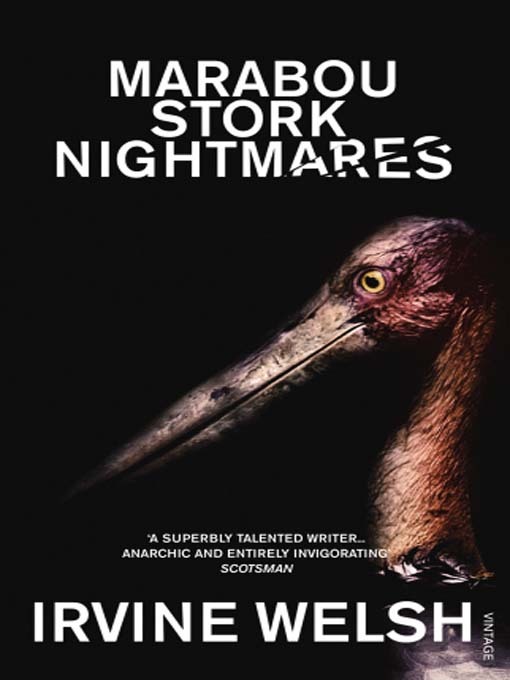 When closest to death, Strang endures wild hallucinations centered on a safari in which he is hunting the marabou stork, a vicious scavenger that will eat other animals alive. Strang’s life story weaves throughout this psychedelic and troubling narrative, until the fractured shards of his memory come back together. I once lent Marabou Stork Nightmares to a friend, an addict who was well-acquainted with the back alleys of hell, and he returned it two days later. He’d finished the book in less than 40 hours, in part because it was so good that he couldn’t stop reading—and in part because he was too troubled to sle ep. Any book that elicits this type of visceral response is a must-read for Halloween.